As much as DICE’s first Star Wars Battlefront was a technical achievement, several players felt that the videogame’s feature set and gameplay were lacking. 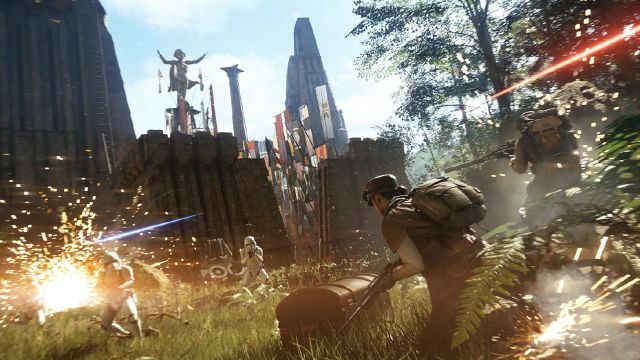 The 2015 shooter was far removed from the original Battlefront games from Pandemic Studios, themselves inspired by DICE’s own Battlefield series. What came in its place were Star Cards, a season pass and other questionable design choices. Battlefront II is looking to make some big changes, and players were given a sneak peek of what the game has to offer in a public multiplayer beta. Here are a few points we gathered from our time with the game’s multiplayer. 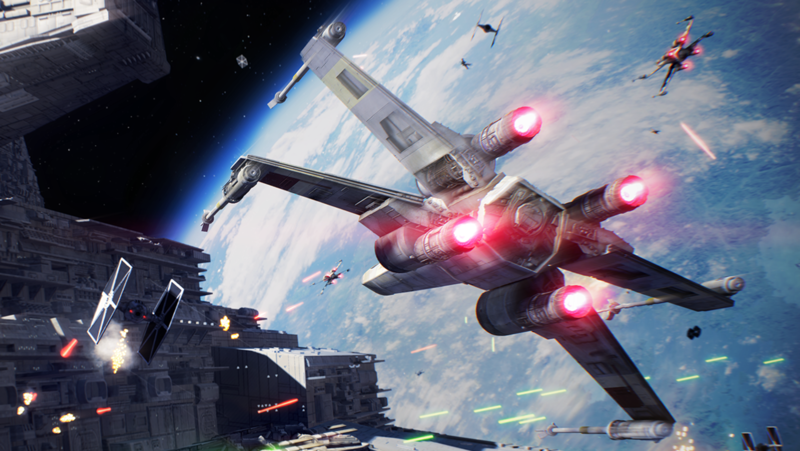 Like the original Pandemic games, and unlike DICE’s first game, Battlefront II goes back to a class-based system. On the ground, players can choose between Assault, Heavy, Officer and Specialist—all play exactly as they sound like they would. 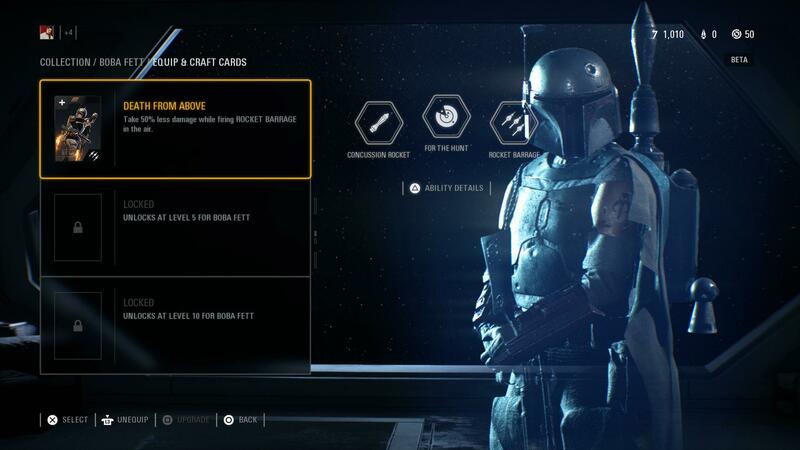 But the big change here is that rewards like vehicles, superior classes like the Super Battle Droid and Heroes are no longer random immersion-breaking tokens on the field, but rather something you access with Battle Points you earn during the game. 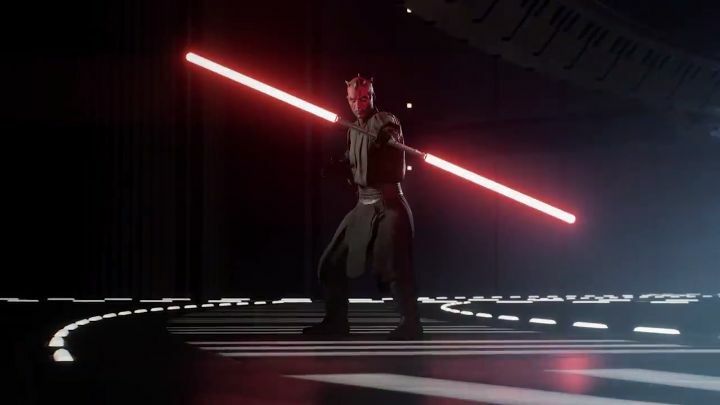 Jumping into a spaceship or being able to play as characters like Darth Maul become a lot easier, rather than being determined by chance, and having the ability to choose between different rewards creates another layer of strategy. Unfortunately, Battlefront II has loot boxes. These crates of joy are so prevalent in games everywhere that we won’t be surprised once newspaper crossword puzzles include them. Available through microtransactions, loot boxes in this game are not as fun to open as the cosmetic goodie bags in Overwatch, and knowing that another player can get a variety of Star Cards to give them the advantage if they drop the cash is a real bummer. There wasn’t much to complain about the spaceship fights in the previous Battlefront, other than the fact that the game at launch didn’t even have any space maps. But piloting an X-Wing or TIE Fighter is more exhilarating than ever, with a versatile array of ships that are intuitive to handle. Like infantry troops, ships are divided into different classes: Fighter, Interceptor and Bomber. Similarly, Hero ships such as the Millennium Falcon are available through Battle Points. Like in the previous game, Battlefront II features multi-stage game types, with Starfighter Assault showcased in the beta. Rebels have to take down a docked Star Destroyer, while the Empire attempts to strike back by attacking the Alliance’s cruiser ships. It ultimately turns into a tense tug-of-war match, with several of the matches we played ending with very close finishes. The multi-stage action of Battlefront II isn’t entirely a plus, however. The beta throws players into Galactic Assault, on the map of Theed. The Republic Clone Troopers defend the Royal Palace, while the Confederate Battle Droids fight their way into it. The objectives aren’t always exactly clear, except that the player has to make their way to an objective marker and clear out all enemies surrounding them. The gunplay isn’t as smooth as other shooter games, with recoil and cooldowns making combat a bit awkward at times. With the Assault class, using the default blaster felt like shooting a Nerf gun while wearing a blindfold, while the Heavy class with a minigun-type blaster and a front-facing shield felt overpowered at times. Despite some class-specific abilities, the entire team still didn’t feel like a single united front, with multiple lone wolves running into an area only to get blown up by grenade spam—wash, rinse and repeat. It didn’t help the pace that players were forced to wait to respawn with three other players, adding some unneeded waiting time between multiple deaths. Playing as Darth Maul is cool and all, but admittedly, facing off against middle-aged Han Solo and Rey on the planet Naboo will certainly irk some Star Wars purists. But in the end, it’s just a damn videogame, and we’re just smashing our Star Wars action figures together. 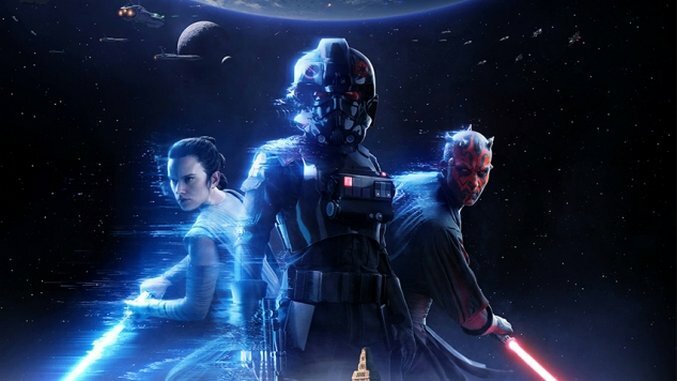 Unlike DICE’s first game, Battlefront II will take advantage of all three eras of Star Wars, rather than just the original trilogy. A smart choice for sure, as the prequels and sequels (despite of what you think of their quality) provide a litany of cool tools and characters for characters to take advantage of. We may not feel especially nostalgic for the trade negotiations from The Phantom Menace, but we happily welcome back the high-pitched “roger, roger” from the Battle Droids. DICE knows how to create spectacle. From beginning to end of every skirmish, Battlefront II amazes in the graphical and audio departments. This is something that DICE accomplished in its first Battlefront game and continues to excel at with its sequel. Be sure to switch to third-person to see your character react to blaster fire and other environmental effects. Shots from different weapons are distinct, and very familiar to long-time fans of the franchise. Then you have cool and memorable sound effects in-game, such as the seismic bombs from Slave I. Even if the game itself may not feel like an epic battle at times, it certainly looks and sounds like one. 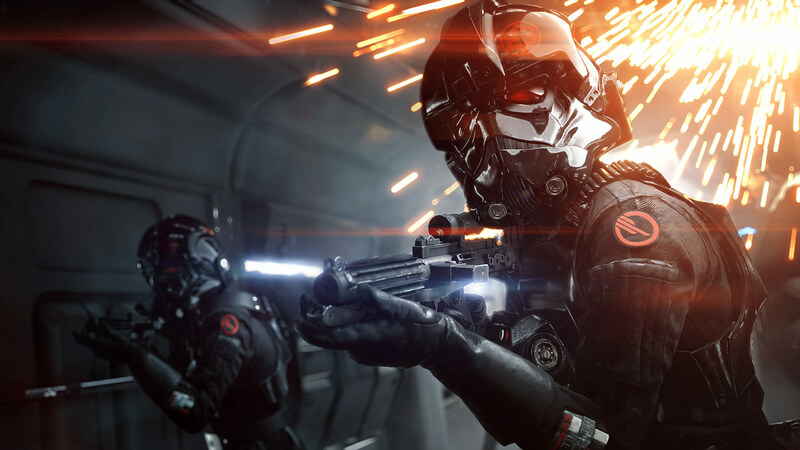 Presentation is a huge focus in DICE shooters, and Battlefront II represents some of the company’s best work. We can’t wait to see what they’ve done with the single-player campaign. Many of the changes made in this sequel are features that we’d argue should have been in the last Battlefront in the first place. Still, most of these changes are welcome, and it’s difficult for Star Wars fans to not be excited by this game regardless. The public beta was just extended to Wednesday, Oct. 11, but otherwise you can get your hands on the game yourself when it launches on Nov. 17. Chris Compendio is a Paste intern who still has his PlayStation 2 hooked up to play the 2005 Battlefront II occasionally. You can find him on Twitter @Compenderizer.